How many types of SEO Packages do you Know? Is SEO free? Over the years, I have had this question so many times: “How much should I budget for SEO?” And that is a very difficult question to answer. It helps to understand that SEO is not science; it is sport. With science, you can always predict the outcome by the actions you take. If twenty people take the same actions, twenty people will get the same results. Mix the same three chemicals, get the same color every time. SEO is not science. If twenty website owners take the same actions, Google will still show only ten of them (at most) in their top ten results. With sport, there can be only one person or team that wins first place, only one that wins second place and only one that wins third place. You won’t find twenty individuals or twenty teams winning the same Olympic gold medal. Sports are about ranking. SEO is about ranking. SEO is not a chemical reaction; it is a ranking. It is sport. Science can also determine exactly how long it would take you to hike that trail, but all those factors, as well as motivation, sleep, diet and so many others, will affect you total time. Want to compare yourself to someone else? Will you burn more or less calories than other people? Will you hike faster or slower than other people? Your answer is suddenly subject to all the variables above applied to each of the other people. How much does SEO cost? That depends on how much you need to do to outrank your competition. At the end of the day, that’s all that matters. Oh, and also how much the tools and/or outsourcing will cost you. Many years ago people could have an online business and actually thrive without a whole lot of upfront investment. Nowadays that scenario is not happening unless you’re really great friends with someone who already has a lot of influence online and that person is willing to promote your products. You also need to ask yourself a few important questions. For example, can you afford to spend the money now for results that might not be realized until the future? SEO Is Free – Or Is It? Technically, SEO is free. You can do SEO for your website with no incremental disbursement of money than you already spend to be online. But who are we kidding? Time is money, and SEO is time-consuming. SEO also requires a certain amount of knowledge, both to ensure that you do the right things, the things that will boost your rankings, and to avoid doing the wrong things, the things that will get your website penalized. If you have a need to control your SEO personally, then you might still want to outsource specific aspects, such as researching targets for blogger outreach or other link opportunities. You might want to outsource your writing for content creation. You don’t need to do all of these. You don’t need to do any of these. You could spend zero on tools. But tools help you do more, do it more efficiently, and they become more important with the complexity of your website and the complexity of your search market. You can put a price on tools. In the case of SEMrush, there are three pricing packages, with the Guru level being the one most website owners and SEO professionals opt for. Tools are the easy part to price. Outsourcing is much harder. Most SEO companies, and even many freelancers, have packages. That makes it easy to price them. But that assumes that a package meets your needs. When you have so many variables, SEO really becomes a custom process. A custom plan is not so easy to price. More to the point, the plan will need to change as your analytics and intelligence keep you informed as to your changing SEO landscape. Invest a portion of your budget into learning organic SEO techniques that are compliant with Google’s Webmaster, Content, and Quality Guidelines, so that you have a long term plan in place and won’t always have to spend a huge amount of money on advertising. If you don’t do this, SEO will seem like voodoo magic, and you will have no idea how risky or how tame you will want your SEO plan to be – or how risky or how tame an SEO specialist you’ll want to hire. Add to the confusion the many ways SEO can be priced, almost every way except by the pound. Emory Rowland weighs in on seven different pricing models. The only method he completely endorses is pay per performance. I agree. The company you hire will do whatever it takes to get short term results, even if it means that your business crashes and burns SEO- wise a few months down the road. But he, like me, is not keen on packages, either. He saves most of his praise for the retainer model, which offers the most flexibility to customize to a client’s needs and, quoting Jason DeMers, has the best ROI for the client. I personally like both the retainer model and the pay for specific actions, which is essentially multiple one-time fees. In both cases, the client knows exactly what SEO costs. Most jobs done by human minds and hands are cheaper if you hire people for longer terms, but the flip side of this is that you have expenses to incur every month whether you earn an income recurrently or not. If you have recurring income, you can afford the retainer model. If your income bounces around like a kangaroo on a roller skates as mine does, it might be better to pay for specific actions. If that is the case, be prepared to be a little more involved in the process, at least enough to know what specific actions to ask for or to approve. 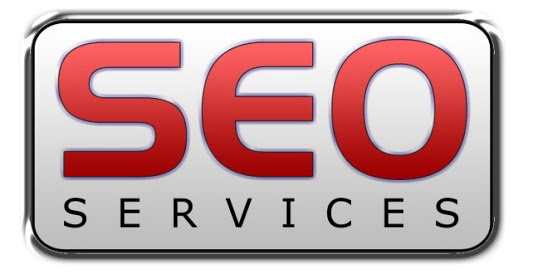 you should find that SEO brings you a very profitable ROI. Previous Post The Ultimate Guide to Link Building With Content. Next Post How Google Analytics can Measure the Results of your Content?